The gut is sometimes called the second brain. It contains about 100 million neurons، which is more than in the spinal cord or peripheral nervous system. How we feel depends heavily on the state of our digestion، so it's important that what we eat supports a healthy gut، Insider reported. The Mediterranean diet emphasizes whole، unprocessed foods. 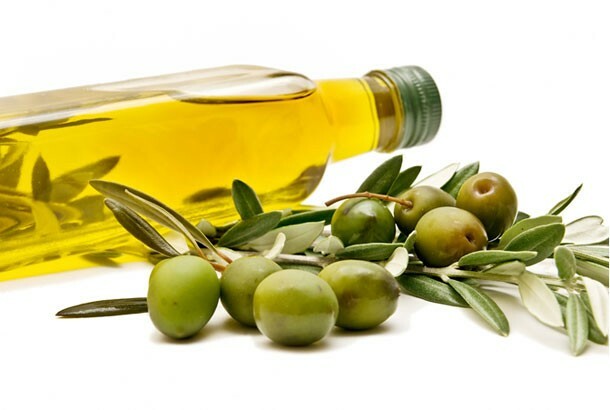 Think fruits، veggies، whole grains، nuts، seeds، and high-quality fats from unprocessed olive oil and fatty fish. It's undoubtedly a healthy diet، but how does it affect the gut? "Red meat is rich in iron and protein، but it is the hardest protein to digest. Going for easier proteins like fish and legumes will actually improve your digestion and make you feel great and less bloated after each meal،" Dina Merhbi، clinical dietitian، told INSIDER. If constipation is a digestive issue that you struggle with، there's a good chance that switching to the Mediterranean diet could help. "High vegetable intake improves digestion. Since this diet is high in fiber، it actually helps people increase their fiber bulk intake، which in turn improves digestion and heals constipation،" said Merhbi. Filling your plate with fiber-rich food might help you become more regular. To start your day with a dose of fiber، try loading up a bowl of oatmeal with slices of apple and dried fruit. "Healthy fats have actually been shown to coat our digestive tract and decrease internal inflammation related to irritable bowel syndrome and reflux،" said Merhbi. If you want to try to tap the healing powers of healthy fats، Merhbi recommended sticking to olive oil and avoiding other vegetable-based oils that are processed. Drizzle olive oil over salad or a bowl of hummus for an easy way to incorporate it into your diet. Mediterranean-style eating isn't just about the food on your plate، but about the culture surrounding food. A key part of the Mediterranean diet is its emphasis on making mealtime a social occasion. "Digestion is part of the parasympathetic nervous system of our body، also called 'rest and digest.' When we are relaxed، smelling and tasting our food، we allow our body to be in its optimal state to receive food and digest it properly،" board-certified gastroenterologist Dr. Samantha Nazareth told INSIDER. Eating on the Mediterranean diet is about taking the time to enjoy food with others. Treating mealtimes as a social occasion can put us in a relaxed state، which can help with digestion. Our guts are filled with between 300 and 500 species of beneficial bacteria that help our digestive systems run smoothly. These helpful bugs have a huge impact on our wellbeing، and eating in a way that aligns with the Mediterranean diet can help keep this microbiome in good health. "The Mediterranean diet includes food groups rich in fiber such as grains، fruits and vegetables، legumes، and nuts seeds. The fiber in these foods feeds gut bacteria helping to promote a positive gut environment and aid in regularity،" Anna Rosales، RD، told INSIDER. Getting plenty of fiber and consuming fermented foods like pickles، sauerkraut، and Greek yogurt is a good way to bolster the ranks of beneficial bacteria in your gut. The Mediterranean diet is packed with fruits and vegetables. As tasty as garden-fresh veggies are، they have the potential to give some people an upset stomach. "Raw vegetable intake is not made for everyone. Vegetables are great، but for some people، raw vegetables actually irritate their system and cause intense cramping،" said Merhbi. If you find that snacking on raw vegetables like carrot sticks، sliced bell peppers، or celery gives you a queasy feeling، be sure to lightly cook your veggies before enjoying them. Steaming is an easy way to soften your vegetables without losing flavor or nutrients.